Half Orcs are supposed to be fugly eh? 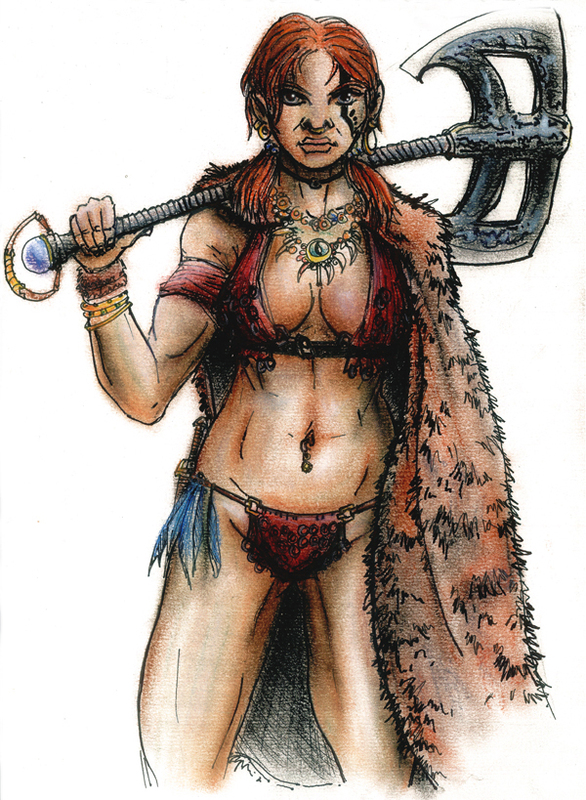 Back in the day when Icewind Dale was open to us adventurers, there came to Targos a half-orc from the northern wild reaches of Faerun; K’nari Ironsong of the Black Lion tribe, who found the agrarian and trading lifestyle of her clansmen unappealing. 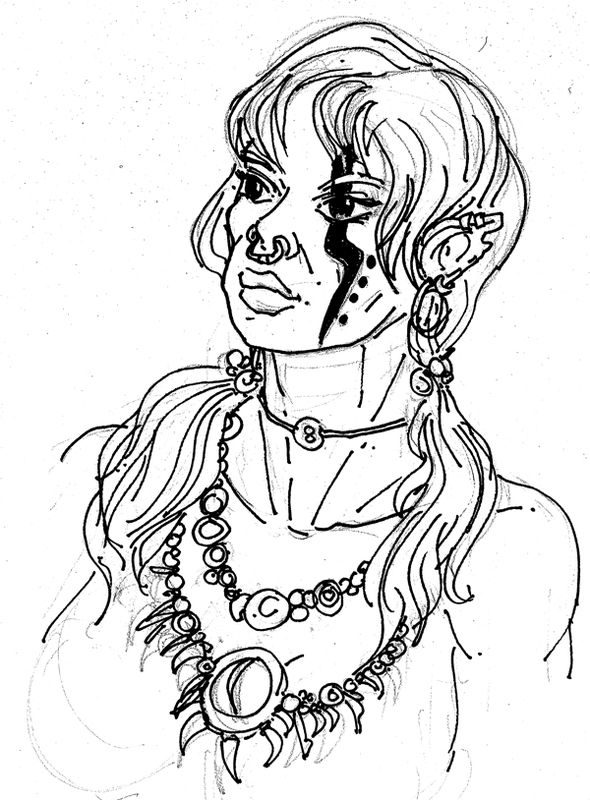 K’nari left Beorunna’s Well after her 15th birthday, which led her to the Ten Towns region and the adventures that awaited, inns that needed a good brawl, and the many demons, dragons, wyrms, drow, illithid, kobolds, giants, posh men in tin suits etc. that needed a kiss…from her axe of course. OK. In fact, the name was given to a character I actually used to play and finish Icewind Dale 2 with. A half orc without the ‘staple ugliness’ of face including the fangs, warts, crooked teeth and whatnot is not something that’s usually seen around when it comes to fantasy art. Well, that may not be every nerd’s cup of tea, but its my glass o’ wine! This entry was posted in characters, game. Bookmark the permalink.